In today’s world of versatile appliances, choosing the right washing machine involves a lot of personalised considerations. High quality design features remain essential, and when contemporary ASKO 8kg washing machines boast dozens of tailored program settings for every type of wash, the choice becomes clear. ASKO 8kg washing machines hit the sweet spot in Australian homes where convenient clothes washing solutions are expected. What is the best 8kg washing machine? The size of your household will dictate washing machine decisions and it is imperative to focus on a known brand with an award winning reputation. Washing machine reviews can be helpful, but you will require focus when determining suitability. Portable solutions are an additional consideration if you are someone who relocates often, and with ASKO washing machines weighing only 45kg on average, moving between rental properties isn’t an extreme exercise. You should focus on energy efficient appliances when perusing washing machine buying guides. 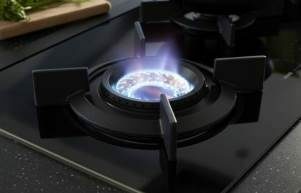 The allure of cheaper products will soon wear off when energy bills arrive, making high energy-star and water-star rated appliances a must-have. Front loading washing machines are traditionally more expensive than their top-loading counterparts, although front loaders are gentler on clothing while using far less water. In other words, your investment in a quality ASKO 8kg washing machine will reap financial rewards for the lifetime of your product. This efficient appliance boasts 4.5 star water and energy ratings, saving you money with every wash. If you require an intense clothes washing experience without waste, this is a product deserving serious consideration. The W4086C.W.AU is an affordable 8kg washing machine option for home-makers who expect versatile and long-lasting performance. This is a mid-priced washing machine showcasing high-end style and dozens of personalised clothes washing solutions. All ASKO washing machines incorporate a high definition LCD user interface for convenient guidance. You can tailor the wash or use pre-set favourites stored for easy retrieval. The ergonomic interface design is your handy access to an amazing range of programs and features. With the right 8kg washing machine on your side, you will be on schedule for every appointment, or ready to relax at home in style. Here are just some of the W4086C.W.AU features worth investigating. This top-shelf product boasts a 5-star water rating and a 4.5-star energy rating. 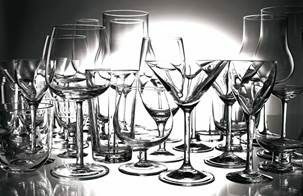 By combining state-of-the-art technology with the best traditional manufacturing processes, ASKO assists the end user. The versatility of progressive appliances is unmatched, and when water and energy saving technologies are part of the equation, the ASKO W4086P.W.AU stands out from the competition. All major components are durable, easily cleaned and maintained, and fully recyclable, making an ASKO 8kg washing machine an environmentally friendly decision. How many clothes can be washed in an 8kg washing machine? ASKO front load washing machines are deceptively spacious. They are large enough to wash bulky bedding and other furniture covers. However, there are limits to how much you should try and squeeze into a washing machine, so here is a quick guide if you are contemplating the best sized washing machine for your residence. Washing machines are branded and sold in Australia according to their kg load capacity. For example, an 8kg washing machine is designed to handle 8kg of wash items. The actual weight of your appliance will be much more – approximately 45kg. Here is a basic washing machine load capacity guide. Here is another easy way to estimate the right size washing machine for your home. 3: Subtract the smaller number from the larger and you will have a wash load kg estimate. If you discover your regular scheduled washing load is approximately 8kg or less, you can now fine tune your purchasing decisions. ASKO 8kg washing machines tick all the right boxes at prices regular Australians can afford. With more than 600 retailers around Australia showcasing the best laundry products, there is bound to be an ASKO agent near you. Can I wash a duvet in an 8kg washing machine? An ASKO 8kg washing machine is big enough to handle bulky duvets with ease. The additional drum space of front loaders makes loading easy, and there is no central rotator that can tangle and tear delicate items. In addition, ASKO washing machines incorporate commercial quality drum technology, without the need for a rubber bellow or perishable components. With ASKO, the duvet is gently circulated and aerated by ingeniously placed hourglass paddles. There is minimal bunching and your intelligent appliance will automatically detect dampness levels, provide precisely heated water, and switch itself off once the washing cycle is complete. ASKO are hands-off appliance manufacturers, designing products that allow you to relax while the appliance does all the hard work for you. Your ASKO 8kg washing machine load can be tailored according to the load size and materials requiring washing. If you need to wash a few small items fast, a fully automated fast wash program is at the ready. If it’s time for a large wash, or consecutive wash loads to catch up, the strong, durable and brushless motor is always up to the task. Here are a few more amazing ASKO 8kg washing machine modes for making life convenient. The days of a one-size-fits-all approach to clothes washing are long gone, and there is no longer any need to accept torn and stretched garments as a regular feature of the circle of life. A tailored wash using an ASKO front loading appliance saves energy and money, while also extending the lifetime of your precious clothing and other materials. Are ASKO 8kg washing machines durable? When both form and function are equally important, washing machines need to be built to stand the test of time. An 8kg washing machine experiences heavy wash cycles and impressive spin speeds, and the balance needs to be just right. Fortunately, ASKO has been manufacturing leading washing machines and other household appliances for generations, and we remain ahead of the competition. There are some game-changing innovations built into ASKO 8kg washing machines that other manufacturers haven’t even thought about yet. SteelSeal: Progressive manufacturing and materials are hallmarks of ASKO engineering. Old-fashioned rubber bellows that cause build up and bad odours have been superseded by ASKO SteelSeal solutions. 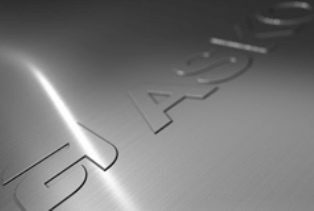 By applying commercial washing machine technology, ASKO developers have replaced the rubber bellow with seamless stainless-steel for superior all-round performance. Quattro: Instead of having only two internal legs like most washing machines, ASKO incorporates the Quattro system. Four shock-absorber legs stop unwanted vibrations to encourage quiet operation for the lifetime of your product. Active Drum: ASKO Active Drum technology introduces hourglass-shaped lifting paddles for a cleaner, gentler wash. The wash is moved to the centre during circulation, while dirt and gravel is guided toward evacuation holes for automatic removal. There is nowhere for grime to accumulate, leaving you with a cleaner wash every time. SensiSave: ASKO appliances are known for their high energy-star and water-star ratings. The superior performance is achieved in lots of ways, including the use of SensiSave sensors that automatically match water level with the washing load. Whether you need to wash a small or large load, your ASKO washing machine is up to the task in style. Long-Lasting Components: ASKO washing machines incorporate stainless steel inner and outer drums. Heavier washing machine supports are constructed using solid cast-iron. Quality ASKO metal components are durable and easy to keep clean, unlike perishable rubber and plastic. The minimalist ASKO washing machine exterior conceals superior workmanship, highest quality materials, and amazing innovations. 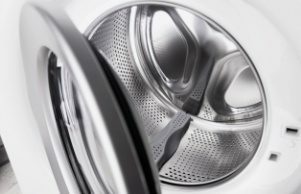 Are front load washing machines better? With ASKO front load washing machines, the stainless steel drum doesn’t have to be full. Your wash cycle and water temperature are automatically tailored by fingertip control, allowing you to do the household washing using only half the water required by a comparable top loading machine. Savings add up fast, and if you are considering a change to economical, environmentally friendly appliance choices, ASKO are ready to show you how it’s done. Quality appliances can last for decades of reliable use. 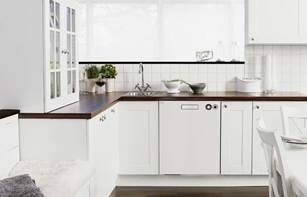 ASKO has been in the business of making the best washing machines since 1950, when Swedish farmer Karl-Erik Andersson built a superior, versatile washing machine for his mother. The ASKO ideals remain, with the highest standards of quality and performance expected from every model. 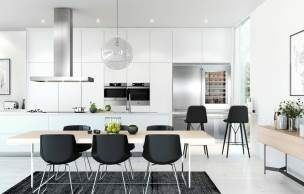 The uptake of ASKO appliances in Australian developments, new homes and renovations continues unabated, and we invite you to experience the ASKO difference. Are ASKO 8kg washing machines easy to keep clean? The interest in ASKO 8kg washing machines extends to cleaning functions that take over the workload for you. The appliance exterior remains as-new with a simple wipe down using mild cleaning detergent. Interior functionality is improved by occasionally running the self-cleaning program, and maintenance is made extra-easy with components that are easy to remove and replace. The additional filter for catching small coins, buttons and jewellery is another great addition. The filter is cleaned and refreshed simply by running it under water, while the filter housing can be wiped clean with a sponge. Occasional washing machine maintenance has never been simpler, and results have never been better. In addition, the top of a front loading washing machine provides extra space to pile clothes when you have your hands full. There are multiple ways of tailoring the wash for perfect results, with programs easily accessed via the high definition user interface. ASKO takes an all-round approach to appliance manufacture, and we support our products with an Australia-wide network of ASKO-trained installation and repair technicians. For high-end products, ASKO appliances are priced right for Australians who are eager to move with the times. If you expect reliability, performance and cost-savings with your next appliance purchase, it’s worth checking out the full ASKO range for more inspiration.